Do your students have different learning styles? Many teachers have probably heard by now that some students are “visual” learners, others “auditory,” and the rest “kinesthetic.” Or perhaps you’ve heard that some people are “left-brained” which makes them creative, while others are “right-brained” which makes them analytical. I’ll admit, I’m not sure I ever accepted across-the-board categorizations such as these. Derribo & Howard (2007) seem inclined to agree, and take it a step further. They argue that there are no reliable instruments to determine or measure learning styles, and that there is no substantial evidence that students’ learning improves when the teacher understands their alleged learning styles. They advocate focusing on learning strategies instead. One key point the authors make is that there is such an abundance of theoretical perspectives and proposed learning instruments that it negates the effectiveness of using learning styles at all. The authors also reference some studies which demonstrate matching learners to styles simply does not lead to more effective learning. The problem I see with the article is that Derribo & Howard use a narrow scope of scholarship to demonstrate their point, and ignore other studies. They even go so far as to poison the well by writing, “An instructor may argue that he or she has found . . . studies [which support learning styles]. The problem is that most of these investigations are poorly designed” (p. 106). However, I can see how some readers may misinterpret the authors’ intentions. They are not proposing everyone learns the same way. They are not falling into the trap of assuming that a lack of evidence is evidence against learning styles. What they are suggesting is that trying to categorize learners into neatly-fitted slots may stifle teachers’ willingness to experiment with new learning strategies, and cause teachers to be reluctant to engage students in ways the students don’t necessarily prefer. They note that “students simply may not benefit from certain instructional approaches whether they like them or not” (p. 106). “The problem,” they write, “is simply that instructors have not learned that their teaching styles are not appropriate for a small percentage of students” (p. 107). Questioning whether our categorical associations are correct or incorrect is not the same as saying we shouldn’t categorize at all, and from the article, I don’t think the authors are suggesting any categorizations are necessarily false or misleading. Just that we haven’t figured out the right way to do it yet, and that our time could be spent on better pursuits to engage students. The ultimate message is good advice for any teacher. Think outside the box, and don’t assume that you sufficiently understand your students’ unique learning needs, because they may surprise you. Good teaching is an endlessly, richly complex field of study, and a teacher should always focus on improving his or her instructional knowledge, techniques, approaches, and strategies. I’ve been poring over articles about constructivist theories and how they influence educational games, since I’ve been writing a research paper on the topic. It’s quite a fascinating body of literature, and I’ve discovered I sympathize the most with a constructivist approach to learning tasks, though my preference does depend on the situation and context. For learning that can be accomplished by directly involving students and making them active participants in the learning process, constructivist approaches are generally favorable, as they provide opportunities to work in collaborative, often technology-enhanced environments, which is great preparation for entering the 21st century workforce. A proper constructivist approach also provides ample opportunity for reflection during the learning process, which I believe is a seriously needed aspect in our day of “memorize-this-to-pass-the-final-exam” style of teaching. In Stager (2007), the author describes a “branch” of constructivism called constructionism. Constructionism is an extension of constructivism, with some notable differences. Mainly, while constructivism outlines that learning consists of building knowledge structures, constructionism describes the applied practice of the constructing as creating something tangible and shareable. One criticism of constructivism from the constructionist perspsective is that constructivism provides the means by which knowledge is formed, but fails to provide a context. Indeed, any constructivist approach should include a context, and constructionism is an approach that makes sure this happens. The author describes a specific instance in which a constructionist learning environment enabled at-risk students to find ways to learn material they would normally have struggled to grasp, and engaged them by directly involving them in the learning process. The students were given tasks to accomplish, and created machines and robotics with LEGO MINDSTORMS bricks to accomplish those tasks. An example may be students were to create a vehicle which could ascend a specific steep incline. During the process, the students would learn that their major stumbling blocks were natural principles like friction, gravity, structural flaws, and lack of force. Through their trial-and-error experiments, these principles became more than just abstract concepts, but actual obstacles they had to understand, address, and overcome. I would suggest that constructionism, with its heavy emphasis on technology usage, is an approach well-suited for “digital natives,” or students who are familiar and comfortable with emerging technology, having grown up with it their entire lives. 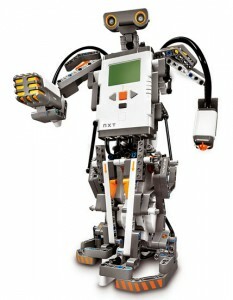 The example of the LEGO MINDSTORMS vehicles could also be accomplished in an appropriate simulation, which is quite relevant as far as educational game design is concerned. Constructionism is also suitable for teaching playwriting, video production, music composition, graphic design, character animation, woodworking, newspaper production, and other instructional tasks in which students produce artifacts. Maybe it’s just my “learning style,” but I certainly understand the value of not just learning by doing, but learning by doing and producing. As an undergraduate Computer Science student, I took a number of Unix classes. Yet when I entered a career in which I actually had to apply the knowledge, I was at a loss. It wasn’t until I started creating functioning systems, such as a network infrastructure, web server setup, or backup script, did any of the knowledge make sense. Being given a chance to accomplish tasks while I learned was a far more effective learning experience. Derribo, M. H., & Howard, K. (2007). Advice about the use of learning styles: A major myth in education. Journal of College Reading and Learning, 37(2), 101-109. Stager, G. S. (2001). Constructionism as a high-tech intervention strategy for at-risk learners. Paper delivered at National Educational Computing Conference, Building on the Future, July 25-27, 2001, Chicago, IL.